Companies of all sizes are investing in cloud technology, even if it's just using an outside provider for cloud backup. 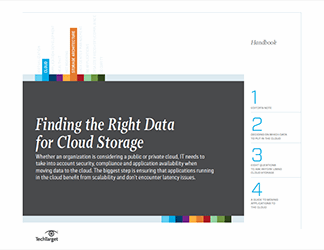 But what about using cloud storage as an archive or for primary data? 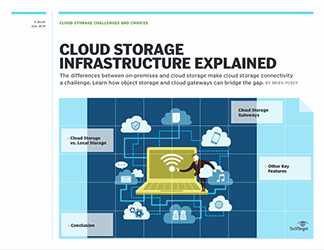 Or a hybrid scenario where you meet your own, on-premises criteria for cloud storage and use a gateway to ship data associated with some applications to the cloud? Now you’re talking about major decisions surrounding service providers, appliances and security. 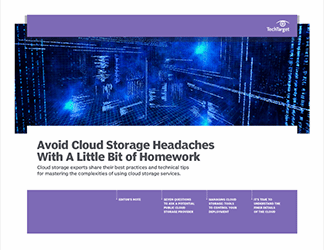 The articles in this drill-down offer insight into the latest cloud technology, and tell you the key questions you need to ask your service provider, and your storage team, if you decide to buy or build cloud storage technology. Find out what our experts say are the most important things to know when drawing up your cloud roadmap, and which tools can be most helpful when it comes time to deploy cutting-edge cloud technology.